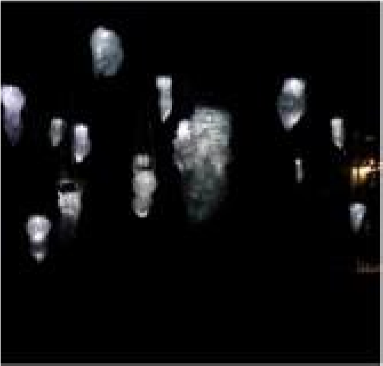 Metamorphosis is an ambient installation that causes the audience to pause, reflect, explore and absorb. The work in itself is reflective, however through an intimate encounter, it can unlock rich levels of awe and enchantment. Monica Rudhar produces performance-based works, sculptures and installations that are reflective of emotional states, personal experiences and personal awakenings. She delves into the human psyche in order to make intangible feelings and experiences tangible, visible and tactile.